Smart and strategic. This is what comes to mind when we think about Facebook. Over the past few years we have seen a tremendous increase in video content being served on this channel. Once users got addicted to browsing tons of videos everyday (Take that, youtube!) , facebook then started serving video ads in between the content and it has been a good revenue stream for them so far. 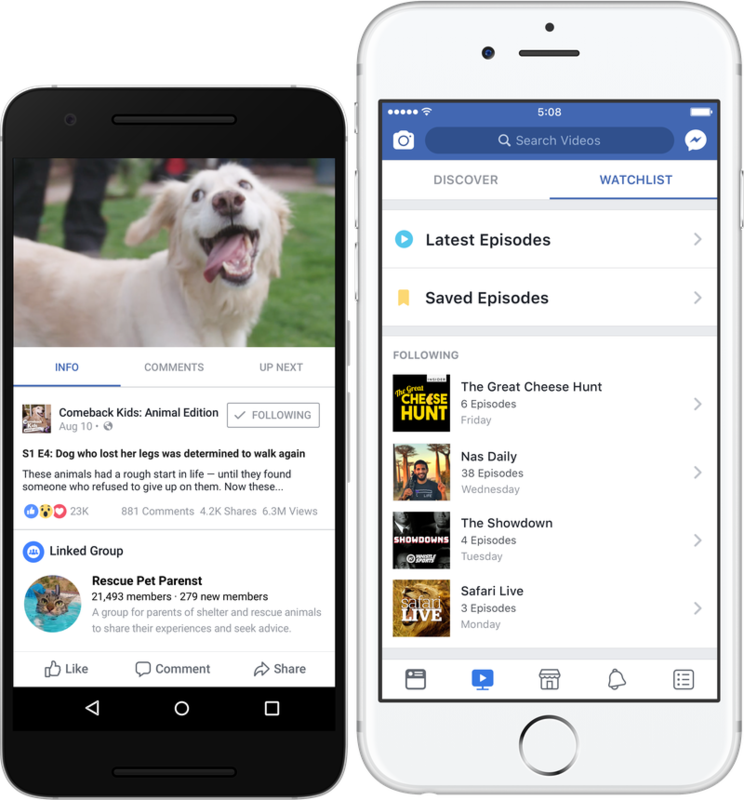 Yesterday, Facebook announced how it plans to take video consumption and ad revenues to the next level by introducing a new platform called “Watch”. Recently Facebook has funded TV shows (Originals) and bought licenses for Live broadcasts of sports programs. So what is Facebook watch and how will it look like? There is a specific tab under the header and on clicking it the watch section opens up. The whole section is further divided by two tabs Discover and watchlist. Discover tab helps users find new shows to watch, either based on the type of video content they browse regularly or the content their friends and family consume. Facebook explains in their offical blog that Watch is personalized for each user and you get video and show suggestions under different headers like “Most Talked About” and “What’s Making People Laugh”. This means that Facebook is now planning to give YouTube, Amazon and Netflix a run for their money. Remember when Facebook had changed the Youtube thumbnail to a small sized square icon a few years back? Look how far it has come. Apart from the aspiration to provide quality content to its users there is another very important thing which needs to be talked about. As per Techcrunch, the partners who create content for Facebook watch will get 55% of the ad break revenue while Facebook will keep the remaining 45%. Goes without saying that content creators and publishers will get to monetize their content with ads and a “branded content tag” to mention sponsored episodes. 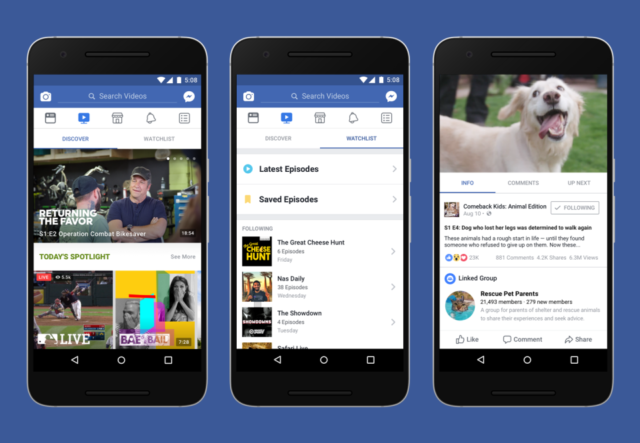 Facebook will begin by replacing the current video tab for users in Facebook’s apps for Android, iOS, the web, and TV. Shows that will go Live include Nas Daily, where the creator who makes a daily video with his followers; Gabby Bernstein, a motivational speaker; and Kitchen Little, where kids make recipes with chefs. Facebook will roll out Watch to more users and more content creators starting with small regions in USA today and will eventually expand internationally. Facebook’s competitors like YouTube and Snapchat are also in the same space. YouTube Red has funded some original shows. Snapchat is planning on signing deals with partners like TV studios to get fresh, vertical video content into its Discover section. With 2 billion users glues to Facebook’s app, this is a very interesting development. The race is on!